I’ve had a number of short stories and essays published in literary magazines. In addition to the satisfaction of getting my work placed in well-respected publications, it’s been a way for me to build my list of publishing credits. However, until I attended the 2015 Creative Nonfiction Writers’ Conference in Pittsburgh, I had no idea that getting published in a literary publication could draw the attention of an agent. “Editors and agents read them. They study them,” said Lee Gutkind, speaking at the conference. Gutkind has been recognized by Vanity Fair as “the Godfather behind creative nonfiction,” and is the founder and editor of Creative Nonfiction, literary magazine and editor of more than 25 books. “We will publish a piece in Creative Nonfiction and then an agent contacts us and says, ‘Can you give me the contact information on this writer? I wonder if they’re thinking about writing a book.’ ” Gutknd said. In doing some further research on this, I found an interesting article in The Review Review, in which literary agent Nat Sobel said he found his client, Wiley Cash, upon reading Cash’s story in Crab Orchard Review. Sobol went on to say in the article that his agency reads 175 literary magazines on a regular basis. 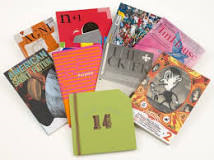 I never would have imagined literary agents reading literary publications looking for clients, but it’s good to know that literary magazines are an avenue for us in pursuit of representation. This entry was posted in Creative Nonfiction, Publishing, Writing and tagged Creative Nonfiction Writers' Conference, literary agents, literary journals, Pittsburgh. Bookmark the permalink.